Our "Forever Family" basket is given to biological or adoptive families once they have completed their time with us. 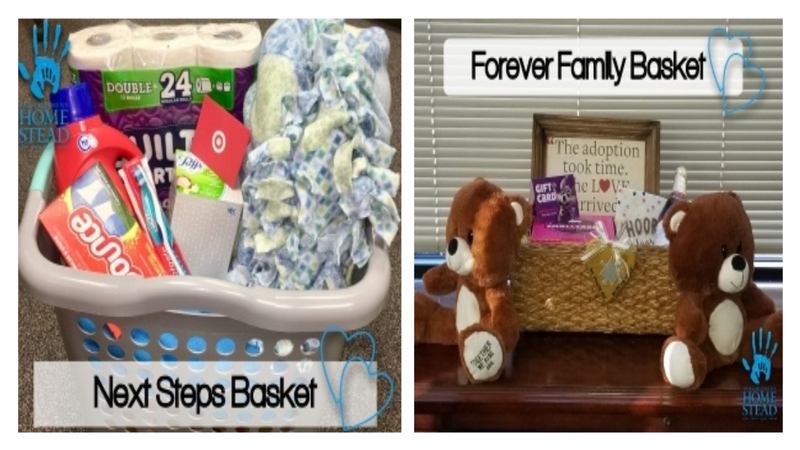 Our "Next Steps" basket is given to our youth who age-out of foster care to live independently or go off to college. Forever Family Basket includes: a gift card for dinner and/or a fun night out, a gift certificate for family photos with a frame, cake, and balloons. Next Steps Basket includes: a laundry basket/detergent, dryer sheets, a blanket, toiletries, a gift certificate for professional headshots, and a gift card to a grocery/chain store.